Blog How to soundproof a nursery effectively / DIY Soundproofing That Works! How to soundproof a nursery effectively / DIY Soundproofing That Works! When my wife was pregnant with our identical twin boys, we knew we had to learn how to soundproof a nursery! Our toddler moved into the smaller bedroom so the twins could be together in separate cribs but the same bedroom. Let’s say, now that the twins are four years old, we are pleased that we chose to soundproof the nursery! Two crying babies can be quite noisy at times, and by soundproofing the baby’s room, it keeps baby’s cries from echoing through the entire house. How important is it to have peace and quiet in the nursery while the baby is sleeping? 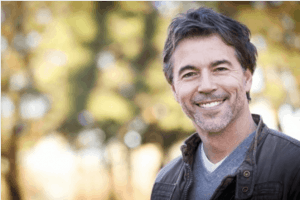 Third – Ever Heard of a Sound Dohm? Get One! Infants find it much easier to fall asleep in a quiet room. You might think the baby is going to make some sounds, but those are to alert the parents. When babies make noises, particularly an infant, it is usually a cry because they are wet, hungry or even uncomfortable. Those cries are cues that parents have to listen for and attend to and quiet the child. It is essential for the babies development that they have a good nights sleep; Even when it is broken up by feeding period. Babies need a certain amount of sleep because most of the child’s development accrues when they sleep. One of the easiest things you can do to soundproof a baby’s nursery is to install a solid core door! If you’re unsure if you have that type of door or not; Go up to the baby’s room door and knock on it. If it sounds heavy and thick like a chunk of wood, then you have a solid-core door. All exterior doors will be solid core. Doors that lead to another interior room of a house are almost always hollow-core doors, which do very little regarding soundproofing. If you have a hollow-core interior door leading to the nursery, then consider heading to Lowe’s or Home Depot and buying a solid core door for $99. You can either hire someone or make it an afternoon DIY project. 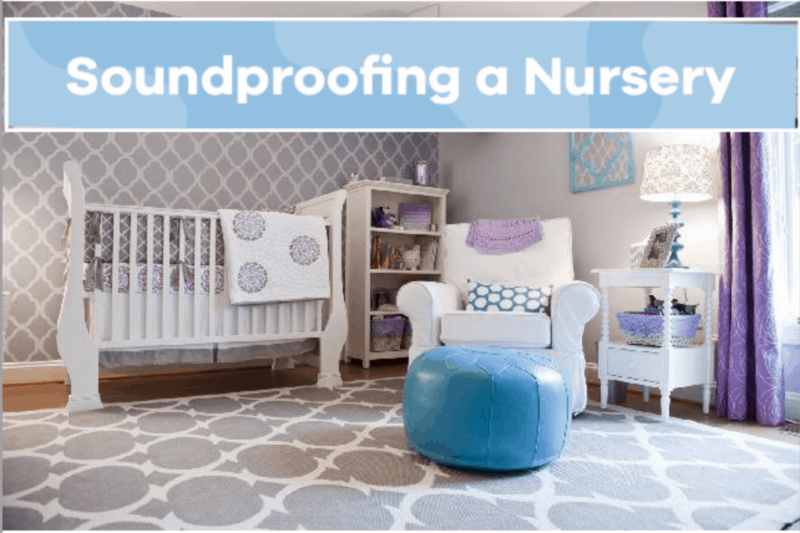 Carpet or an area rug can go a long way toward good sound deadening for a nursery. Hardwood flooring will project sound from one end of the room to the other and leave an echo. You can even buy some Multi-color exercise tile mats. They are made of solid foam and are also great for infants to safely play on the floor. I see people sometimes pay a fortune for these types of tile mats, but you can also buy some inexpensive, high-quality mats online. Here is an Amazon link for the tile mat we purchased. They should even have these at your local Wal-Mart. One of our best investment was purchasing a Sound Dohm. It’s basically a white noise machine that lightly drowns the noises from the other rooms. The sound Dohm projects a soothing sound for the baby and helps avoid being prematurely woken up due to exterior noise. 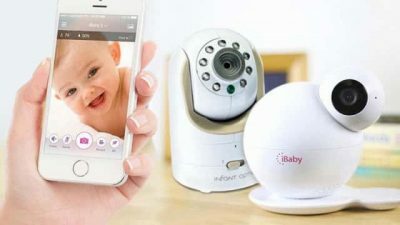 Studies from the national sleep foundation (Click here to view the study) have shown that white noise machines can have astonishing effects on babies, just like on adults. White noise machines can mimic sounds babies heard while in the womb and masked other sounds that may disturb their sleep cycle. The one we purchased was the Marpac Sound Dohm (Amazon Link). 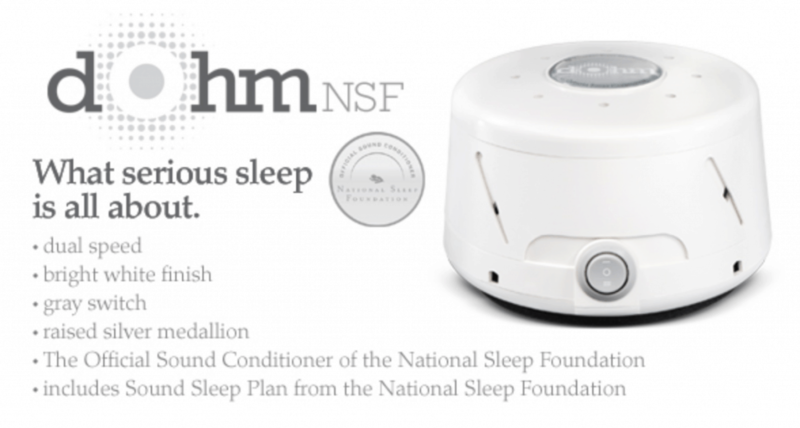 The reason why we chose the Marpac sound Dohm is because the national sleep foundation “officially” trusts it and the majority of the reviews were positive. Soundproof curtains in a babies room is another one of those easy DIY projects. 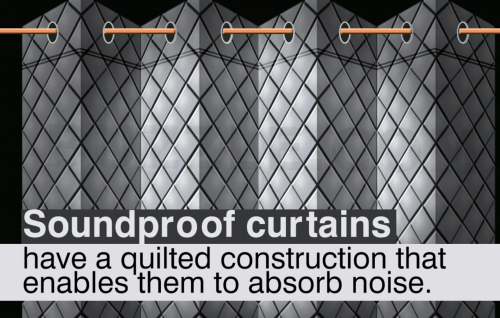 Soundproofing Curtains are thicker and help in sound deadening some of the outside noise from coming in the room. Where you really see the benefits of these types of thick curtains is its ability to absorb some of the sounds from inside the baby’s room. It does do a reasonably good job at reducing some of the echoes from inside. You can find some inexpensive but high-quality soundproof curtains for the nursery online. Click here to check it out on Amazon. The soundproof windows will undoubtedly help in reducing the noise pollution from the outside world from coming into the baby room, But that endeavor would be a bit more costly than replacing the curtains. A siliconized acrylic sealant caulking is designed to be flexible over time so that it doesn’t harden. You should use this to seal the gaps and cracks in the wall. These cracks can appear where the base plate meets the floor. They can also appear around the outlets after the drywall went up while in the construction stages. You can easily find this at your nearest hardware store. You could double-layer the drywall on whatever wall with the most significant issue. If the room on the other side of a particular wall in the living room, it wouldn’t be a bad idea to add a second layer of drywall. The second layer of drywall will help reduce the noise from people talking and the TV. It’s also nice for anyone in the living room because they won’t have to be so careful at being quiet. If the other side of another wall is the washroom, adding a double layer would also help in case the toilet flushing wakes the baby. This is something that you could quickly do yourself, and you wouldn’t even notice the difference after its installed correctly. Meaning the room won’t shrink that much! One thing I notice people forgetting to mention on other websites is to apply “green glue noise proofing compound” (Click Here for Amazon Link). Apply this compound to the back of your second layer of drywall in any random pattern. You will need two tubes for every 4 X 8 sheets. It seems the wallpaper trend is coming back. Perhaps not the 1975 pattern wallpaper but a new and improved style. We didn’t install any wallpaper ourselves, but we have friends that have some lovely and also spongy wallpaper. It would seem that the sponginess can somewhat be useful for noise deadening. It looks nice after they painted it light green. Here is an Amazon link for the wallpaper they purchased. You can even place some wallpaper on the ceiling, I’ve seen that before as well. If the nursery has angular walls and hardwood floors you’ll want something to absorb the echoes of a baby crying in particular. As many of the new homes have granite surfaces, marble floors, wood floors, plastered ceilings. All those hard surfaces create a lot of echoes. There is a product that you can easily install on the ceiling called the Quiet Zone Solserene Fabric System, and it sells for around six dollars a square foot. This fabric mounts directly over the existing ceiling. The Solserene fabric system is made up of three main components; A track that goes around the edges of the ceiling; But the main sound absorber is the high-density fiberglass board with a fiberglass mesh that goes on the bottom. The bottom section absorbs sound; it does not block sound as the hard surfaces would, it absorbs the noise that’s in the nursery and softens the space so a baby can sleep better. This system is covered up with acoustically transparent fabric, meaning the sound will go through it but will be picked up by the board. This process of doing the ceiling is something a homeowner can efficiently tackle. Step 1 – You need to place the fiberglass boards on the ceiling. Step 2 – Install the edges. Step 3 – The final step is to stretch the fabric and put it on the boards. The track molding will easily grab the fabric, so it’s kept in place. The soundproofing did help us a great deal but don’t worry, after you’re done soundproofing the baby’s room you will still be able to hear or see the baby with a baby monitor. At least with this little trinket, there’s a volume adjuster! The one we have has the video with night vision, there are almost 20 000 reviews, and IMO the price is reasonable for all the features. Here is the Amazon link for more info and price. When installing the insulation into the walls, you need to be very careful and meticulous to ensure that there are no gaps And that it fills in the cavity in between the studs. After you’ve assured that all the stud cavities are filled, you will need to begin looking for any gaps and cracks in the wall. Small cracks are an accessible path for noise to get through. There are different types of fiberglass insulation you can install, but to better soundproof your baby’s nursery; There is various density but the best one to help soundproof a baby’s room is a lightweight density that is explicitly designed for acoustics. It’s not used or tested thermally, its tested explicitly for its ability to reduce noise transmission in floors, ceilings, and walls. Your baby’s sleep cycle is much more frequent than an adult cycle. They have many periods of deep sleep and also light sleep every night. While in a deep sleep cycle, your child can comfortably sleep through ambient noise without a problem, hence the white noise machine. However, during those many light cycles, they are much more susceptible to waking up when louder harsh sounds are introduced. “Cycles of deep and light sleep last 30-50 minutes in babies, then gradually increase in length across childhood. Some babies and children fall deeply asleep very quickly. Others sleep lightly, fidgeting and muttering for up to 20 minutes, before getting into deep sleep.” Excerpt from raisingchildren.net. Good soundproofing can help guide your baby through those light sleep cycles, so they remain asleep longer through the night. No matter how light or deep a sleeper your baby tends to be, good soundproofing in the nursery will allow for a more restful sleep. It can be an easy DIY job that will only cost a few hundred dollars. In my experience, it’s worth it, mainly since im already thinking of converting the nursery into a home theatre in 18 years or so. I hope you found this article helpful, please leave a comment if you think of something that I might have overlooked. Also, share to all your expecting mommy friends and anyone with an infant.